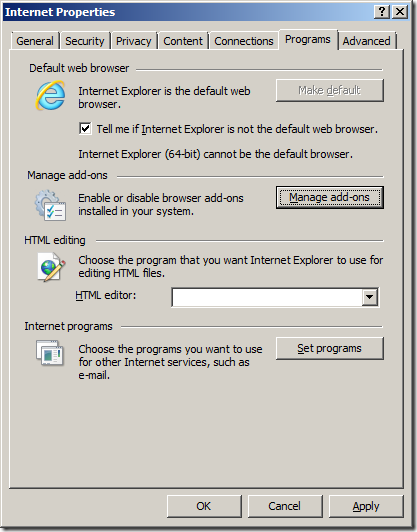 Well the wait is over and Microsoft today released the final version of Internet Explorer 9 to the web at http://windows.microsoft.com/ie/ . Since the release of the IE9 Release Candidate there have been a few more Group Policy added (see Internet Explorer 9 (RC) Group Policy Settings) so below is an updated list of each IE9 Group Policy settings with a related screenshots. 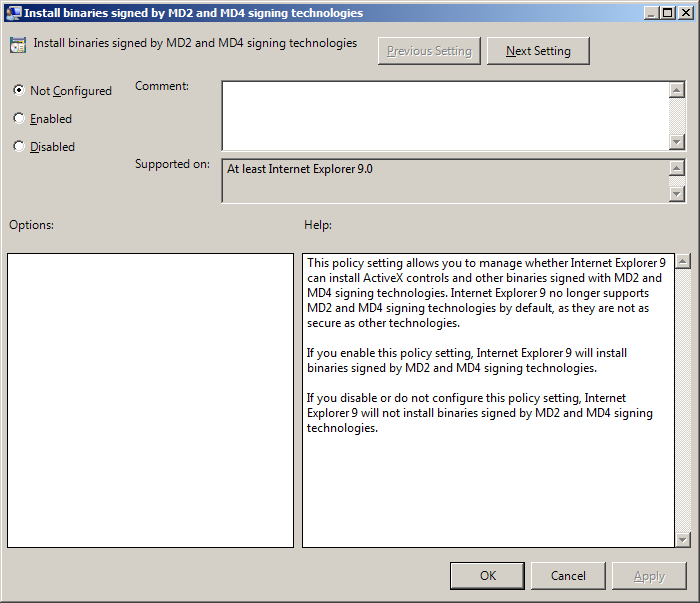 Once you install IE9 on the computer you manage your group policy on you will also find your IE9 Maintenance settings have been updated to reflect the newer settings. 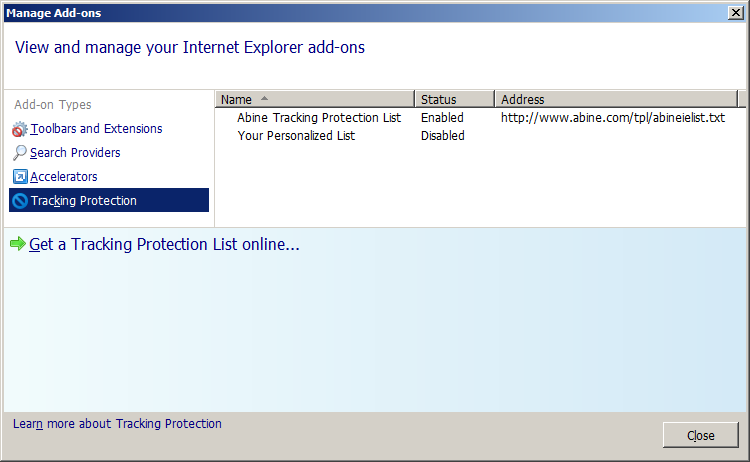 Note: The “Manage add-ons” buttons here is currently the only way you can configured “Tracking Protection” lists (see example below). 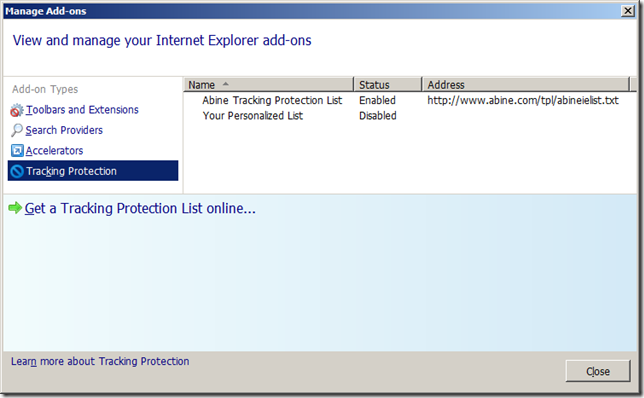 However you first need to add the list to your browser Tracking Protection list before you press the “Manage add-on” button. 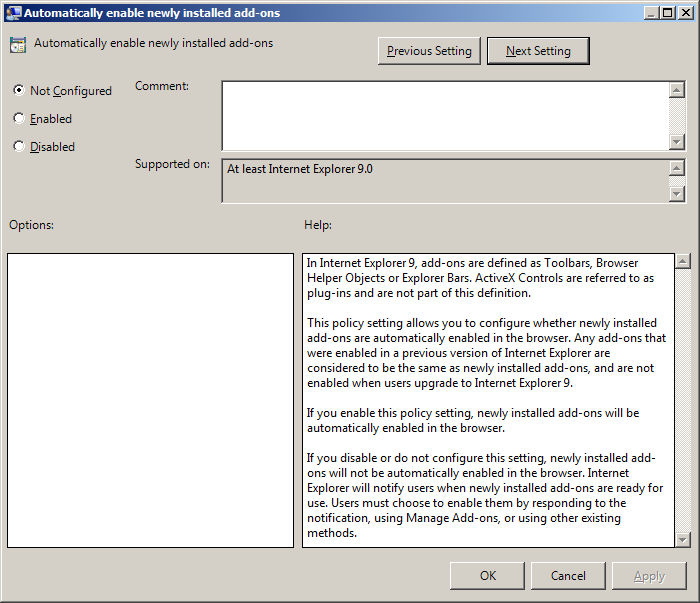 Currently there is no native (supported) way to use Group Policy Preferences with IE9 however you can you can easily work around this restriction. 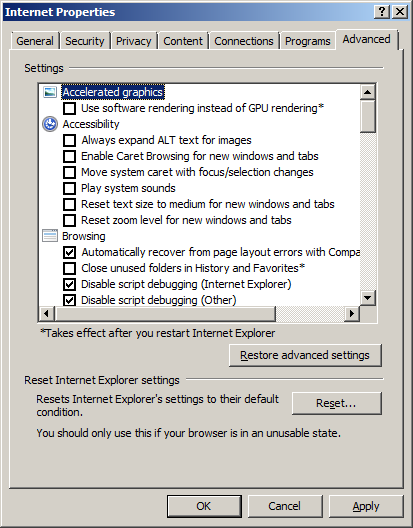 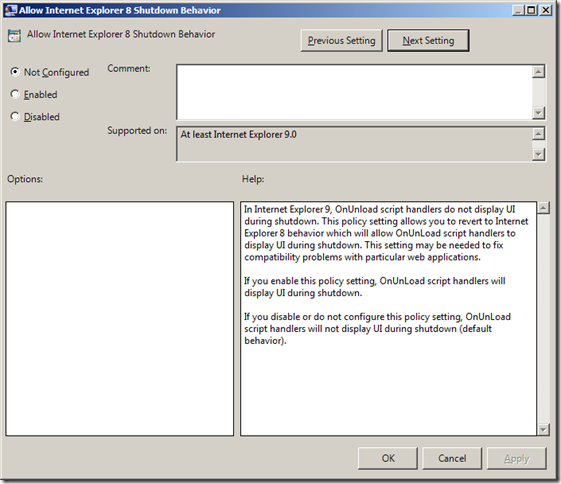 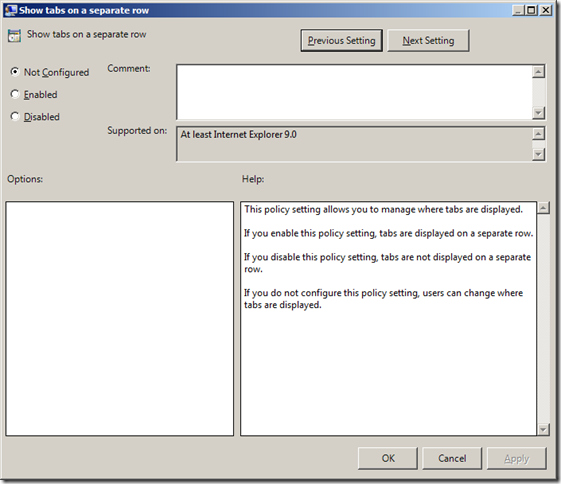 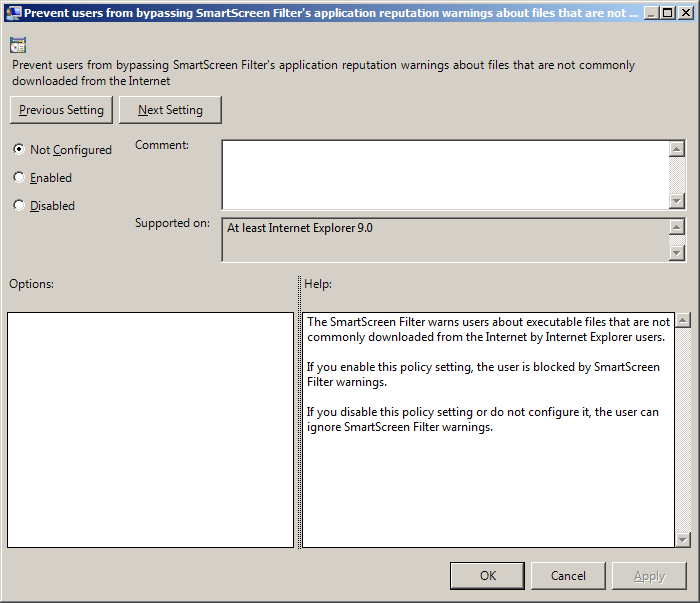 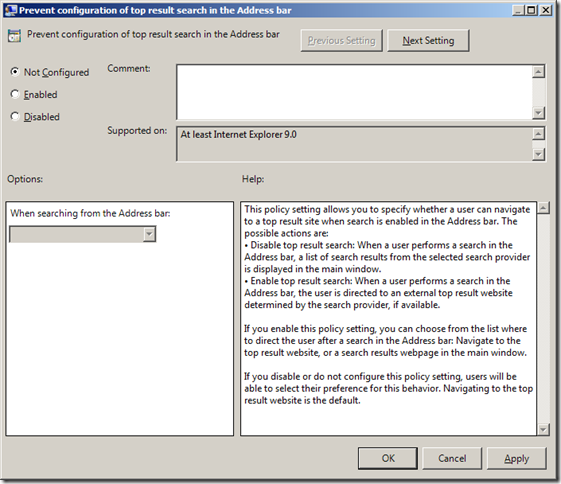 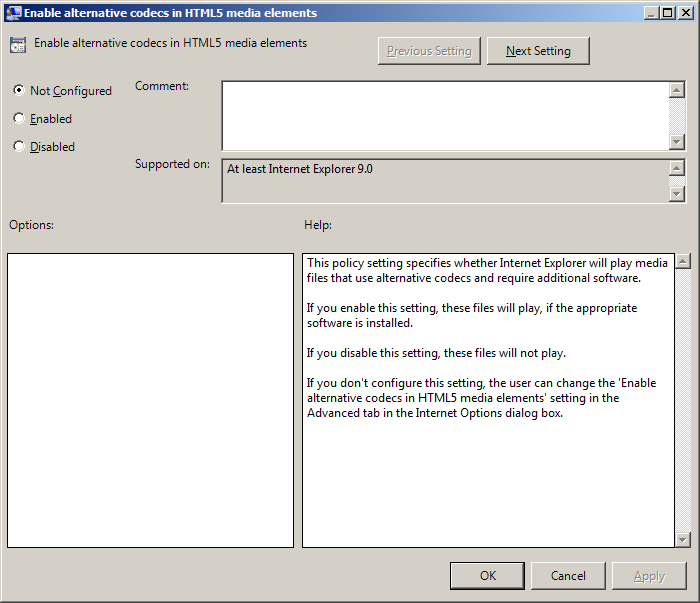 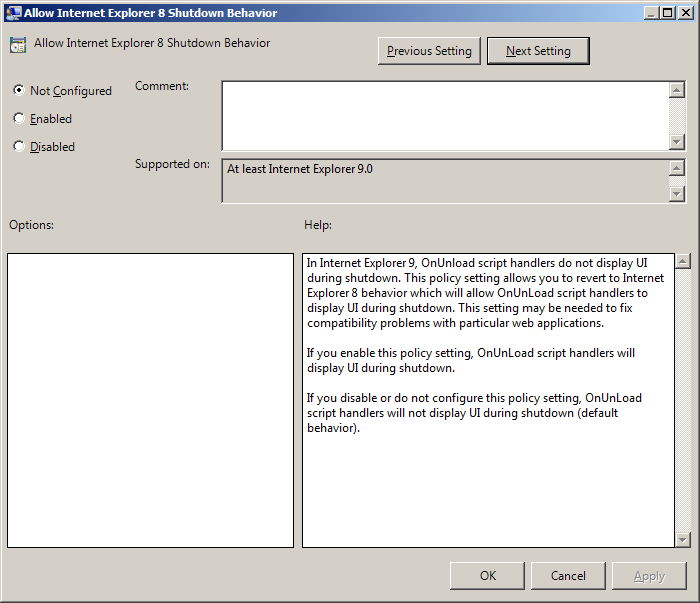 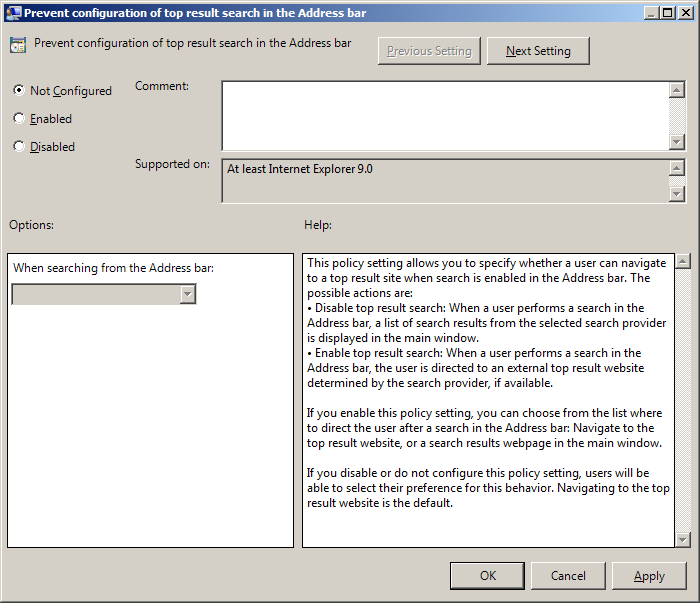 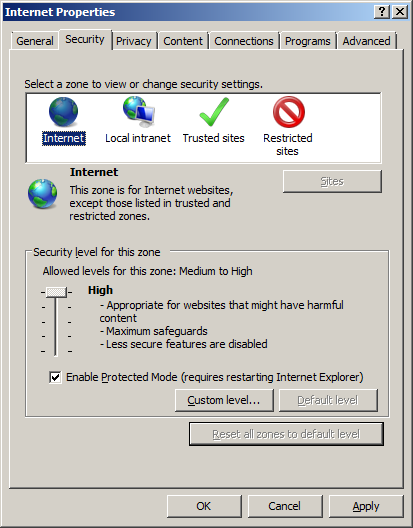 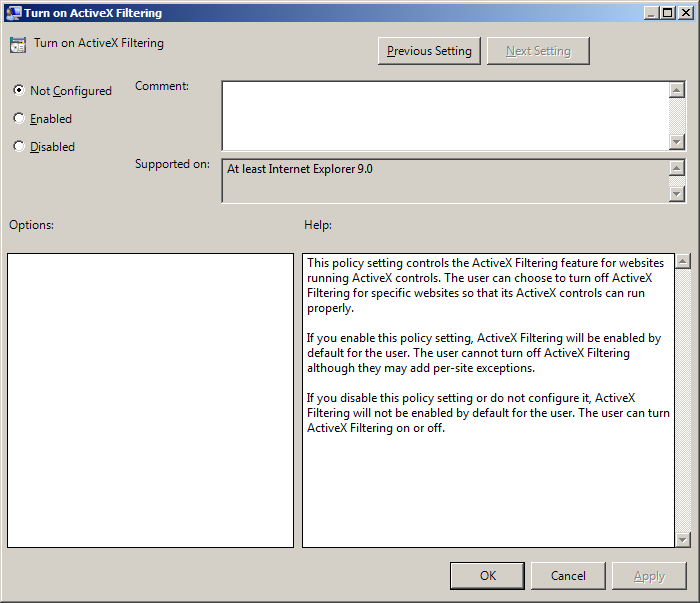 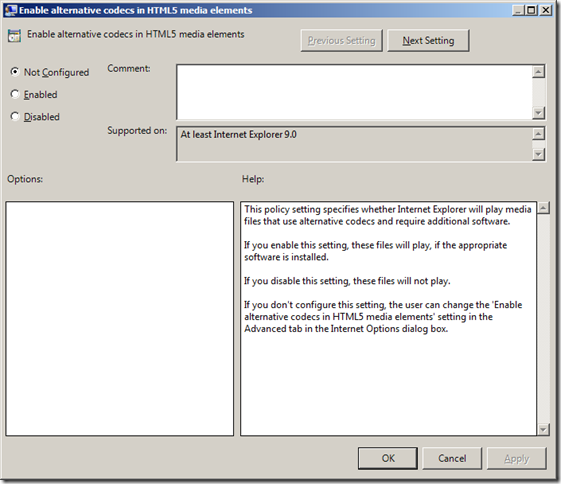 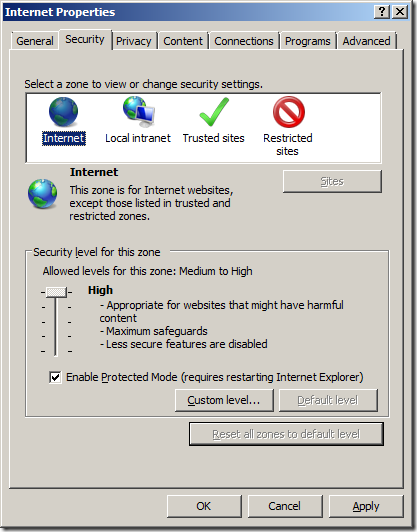 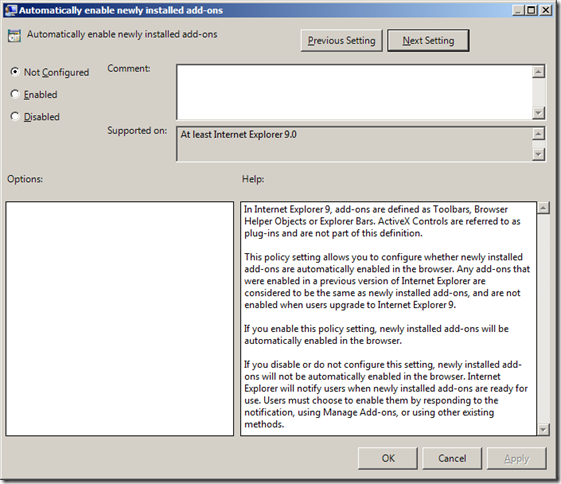 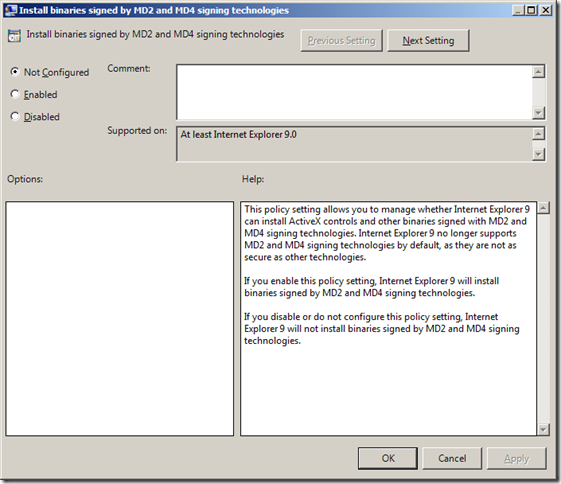 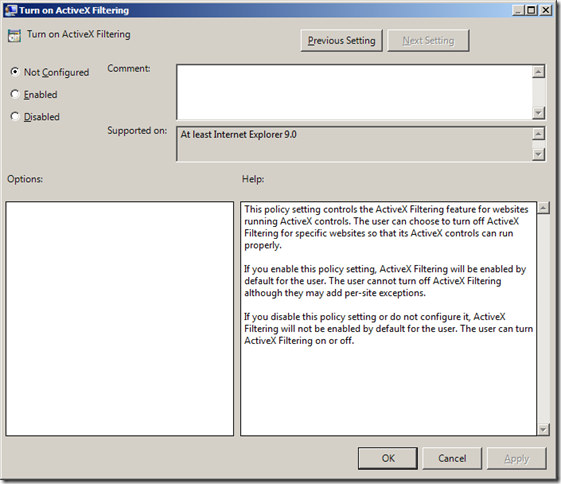 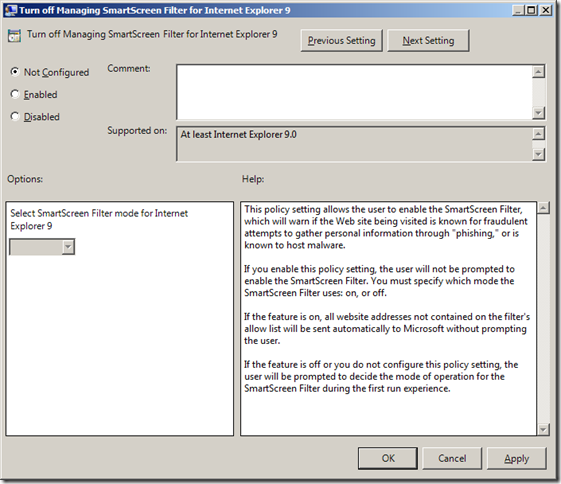 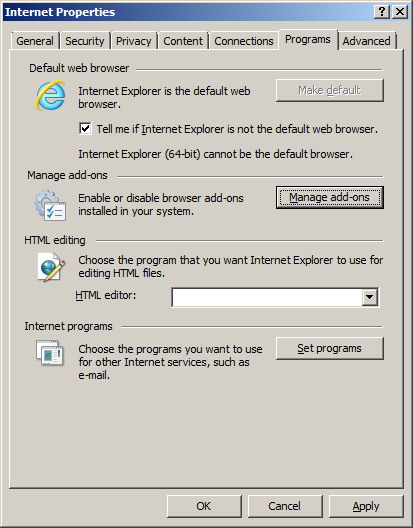 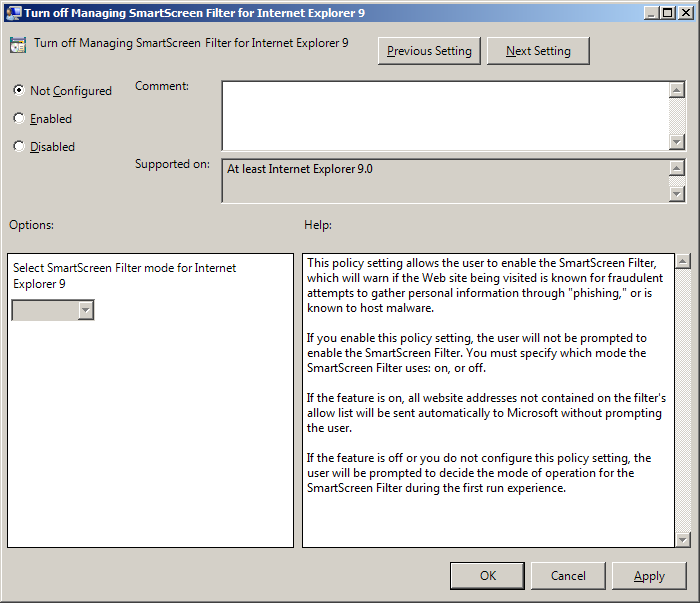 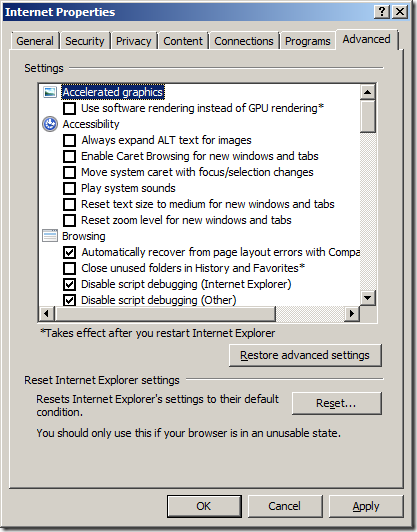 See my post at How to enable Group Policy Preferences support for IE9 .